It isn’t just this new Tablette’s LS3/5a-aping dimensions (16cm deep, 19.5cm wide, 30.4cm tall) that mark the TEN out as wholly different to previous versions. The Tablette 10 is a sealed box with no rear-firing bass reflex port. Its cabinet walls are thin (12mm HDF) and its internal damping heavy. Two pairs of binding posts offer bi-wiring potential. Ingredients that keen observers also offer more than a passing resemblance to the widely revered BBC-designed LS3/5a. “LS” = loudspeaker. “3” = outside broadcast. “5” = model number. “a” = iteration. BBC loudspeaker designer Dudley Harwood – who later went on to found Harbeth – intended the LS3/5a monitor to excel in the reproduction of the human voice. From 1975 onwards, the BBC licensed the LS3/5a’s commercial production, at various junctures, to a handful of storied British loudspeaker companies – Chartwell, Harbeth, KEF, Rogers, Spendor, Audiomaster, Goodmans and Stirling Broadcast – until KEF applied the party breaks in 2000 and discontinued production of the B110 mid/bass driver. Officially licensed models sold in significant numbers. Industry veterans estimate that between 60,000 and 100,000 pairs went out into the wild between 1975 and the early 00s. Why? That falls to the LS3/5a’s superb midrange eloquence and spatially communicative top end. This original BBC design’s limited low-frequency response was offset by a mid-bass hump that gave the illusion of more bass. Thankfully that same ‘BBC hump’ doesn’t show up in the Tablette 10. It doesn’t need it. Paul Woolford’s output under the Special Request moniker is pure UK bass music that channels the sound of London’s pirate radio stations. 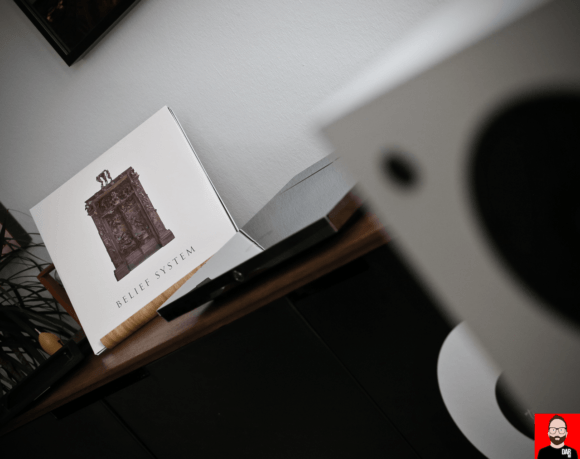 4LP set Belief System sees breakbeat grind with techno. Low bass is in its DNA. 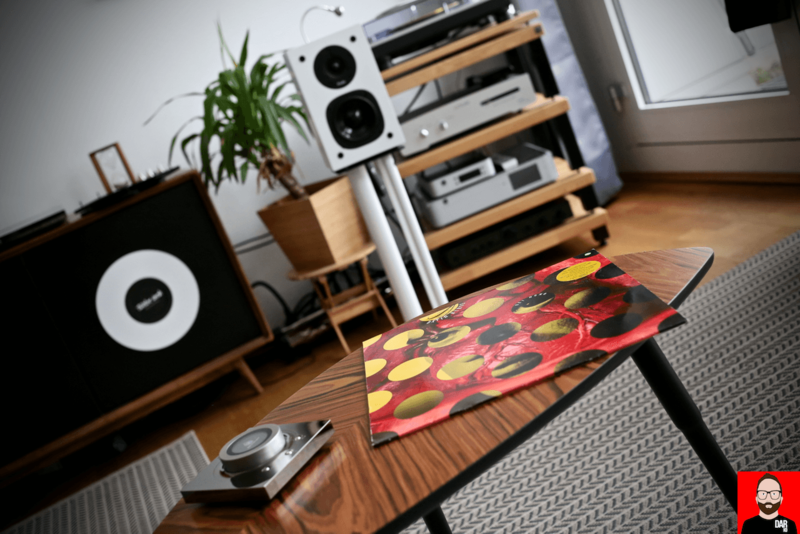 In the hands of ProAc’s Tablette 10, hooked up to a Devialet Expert 200 with AudioQuest Rocket 88 loudspeaker cable, Special Request’s low Hz-dependent electronic music finds a surprisingly satisfactory dance partner. Bass throb and squelch show up, albeit in a less physically arresting form than via the outgoing KEF LS50. A run through Function’s vinyl-only I/II compilation provides a second affirmative opinion on the Tablette 10’s bass form. Pulling down low frequency test tones from Tidal seals the deal: 40Hz, no problem. Note: this is not a hat tip to reviewer clichés such as “loudspeakers offering performance that belies their size” or “loudspeakers that appear to defy the laws of physics”. ProAc’s engineers have evidently found a way to ensure low/er bass action is possible from a small, sealed box placed atop steel-pellet-filled stands in a 6.5m x 5m room. The mid-bass driver doing the heavy lifting in the Tablette 10 isn’t the same 15cm “Polymer impregnated Kevlar cone” found in the Tablette Anniversary. It’s a 13cm “Paginna Mika” (aka doped paper) driver, custom made for ProAc by Norway’s SEAS. Where the ProAc’s also differ to KEF’s similarly LS3/5a-inspired LS50 is on forward momentum and weight. 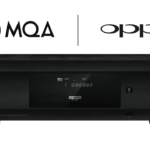 The latter offer greater heft to better satisfy listeners trying to fill larger listening/lounge rooms, especially those who prefer to play it louder. Overdrive the ProAc and you’ll hear hints of upper-midrange strain. 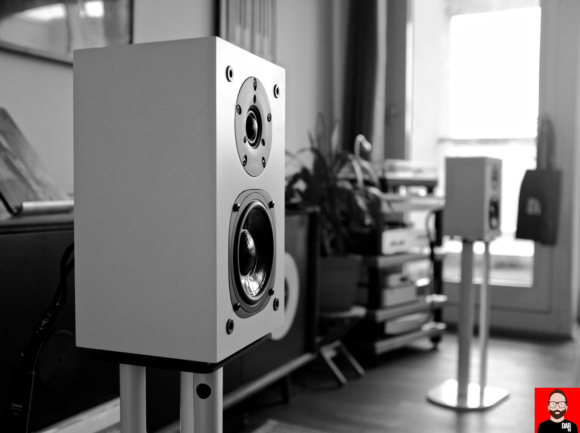 The KEF is the by far the more physically arresting speaker of the two. Looking in from the other end of the telescope, the Tablette 10’s port-free design makes them far more agreeable to placement up against the front wall. With many parts of the world moving towards increasingly smaller living spaces, this modern world agreeability shouldn’t be overlooked. Moreover, it’s nice to see ProAc offering the Tablette 10 in a minimalist-friendly Silk White finish as well as a range of traditional wood veneers – Black Ash, Mahogany, Cherry, Maple (all €1400/pair). Two premium finishes – Rosewood, Ebony – sell for €200 more. 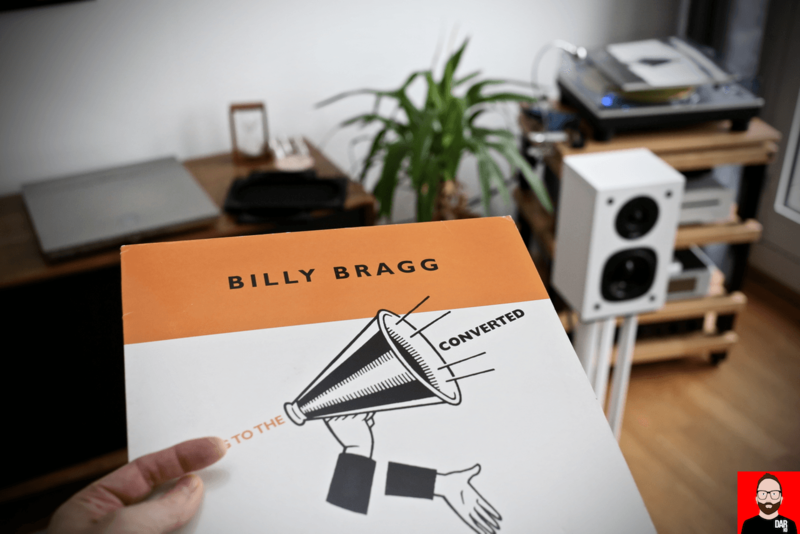 Billy Bragg’s outtakes and b-sides compilation Reaching To The Converted and Tom Waits’ recently remastered/re-pressed Bad As Me tells us twice over that the Tablette 10’s Scanspeak soft dome tweeter offers not the champagne sparkle of the Tablette Reference 8, owned by this reviewer in 2011 (and again in 2014), but something more refined. In the move from ported to a closed box, ProAc’s engineers will have retooled the Tablette’s crossover; a process which in the Tablette 10 has dialled back the treble sizzle that lent the Reference 8 its edge-of-the-seat excitement. 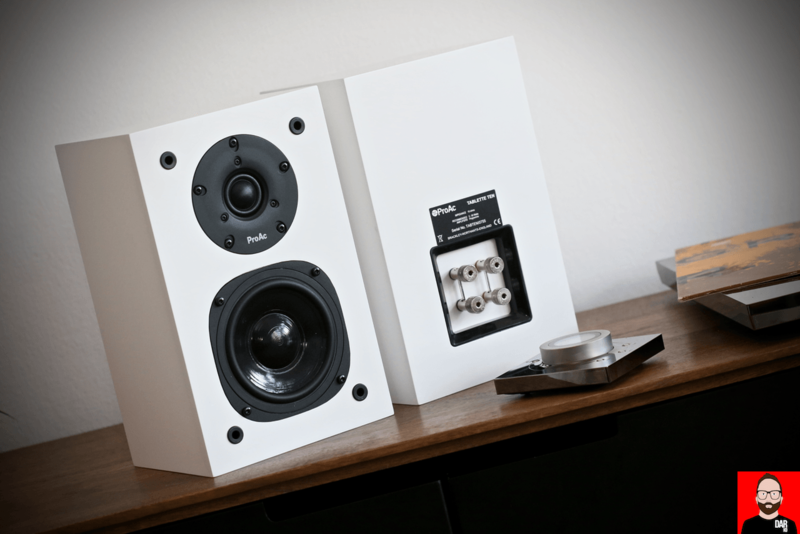 The Tablette 10 keep the effervescence low but up music’s electric sugar (see: Tom Waits’ Real Gone) to net airiness, smoothness and a delicacy that outdoes the (passive) KEF LS50, especially once the grilles come off. Impressive. On soundstage, especially noticeable on Brainwaltera’s Boards Of Canada-esque Poly-Ana, the Tablette 10 play it super wide if not super deep; sounds often seem to emanate from well beyond the bounds of the loudspeakers themselves. Full fat down below, when required. Smooth up top, always. Such qualities play right into the hands of Neil Young’s Harvest Moon, re-pressed on vinyl for RSD Black Friday 2017 – the first time since 1992. The heavy acoustic guitar tone of Young’s post-Weld retreat threatens to envelop the listener with a wall of sound into which the Tablette 10 shine their torch deep into a cavernous midrange. Read this speaker’s back panel: nominal impedance = 10 Ohms. Despite an 86db efficiency the ProAcs promise tube amplifier agreeability. 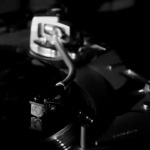 Tread carefully though – like turntables, not all tube amplifiers sound warm. The Tablette 10 play it a little richer than the KEF LS50 to potentially render buttery glowing glass too rich of a meal. It was via Devialet’s Expert 200 that I extracted the most satisfying result. Bass control and finesse. However, the sometimes boisterous behaviour of the Peachtree nova300 provided a nice counterbalance to the ProAc’s way with finesse. The Rotel RA-10 was only so-so in ProAc territory. It prefers LS50 hookup. David Byrne’s Rei Momo continues the world music work started with 1988’s Naked but this time with the other three Talking Heads replaced by Latin American musicians. Via the ProAcs, it’s manna from heaven. Not only because this album’s Latin American core calls for little in the way of muscularity. And not because these ProAc takes us on a deep midrange dive. 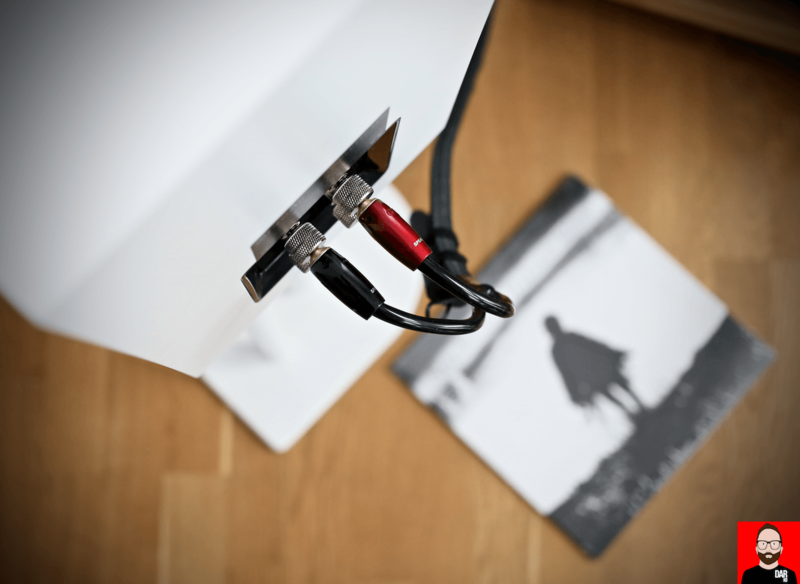 No – sans reflex port, the Tablette 10 work with the cabinet’s 5L internal volume to deliver finger-snap speed. For Rei Momo’s oft-complex percussive passages, that speed spells pure joy. And whilst we’re on a happiness tip, these are the only standmounts heard by this reviewer (at home) to date that let me hear Paddy McAloon smile as he sings “Jesse James is waiting for the cheap music to stop / Don’t goodbye deserve some Bach, not barbershop?” on Jordan: The Comeback. Doubt not that the Tablette 10 are a vocal-lover’s dream – just as the BBC intended with the LS3/5a. With fast driver speed coupled to a sticky-sweet top end and in turn applied to second vinyl-only Function compilation II/II, we get a four to the floor techno thump delivered with a squishy bounce. This kind of dynamic elasticity is one of my favourite qualities in all of hi-fi playback. By designing a loudspeaker that puts the notion of heft and big room drive to one side, ProAc’s latest Tablette allow us to see hear music through a cleaner window than via similarly priced rivals. Not that these rivals should remain anonymous: the more muscular KEF LS50 (€1198/pair) and taller (literally and figuratively) ELAC Uni-Fi FS U5 Slim (€1200/pair) are for larger listening spaces and rock harder when charged with R.E.M.’s Green. Bigger though – it isn’t always better. 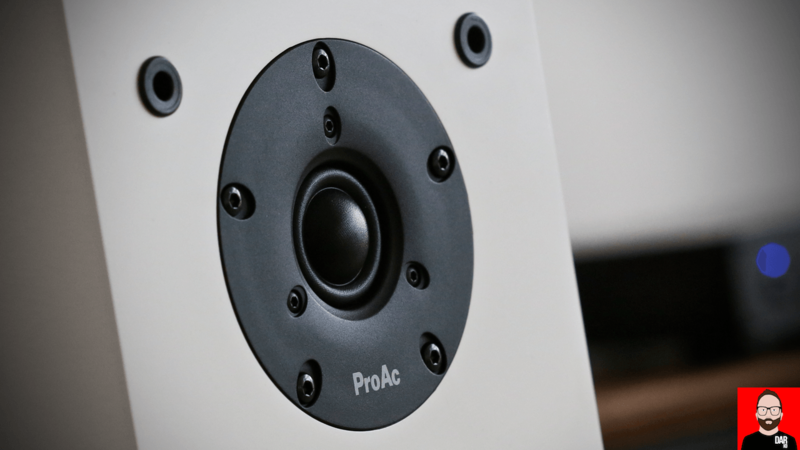 For those of us working with more limited square footage – or where our loudspeakers need more wall clearance than living circumstances will allow – are advised that the ProAc Tablette 10, in a simple twist of irony, turn up the heat on musical insight and the second-hand LS3/5a market. How hot? Ninety degrees.